Despite the fall-like showers hitting western Washington expect some sun later this weekend. Wait. Is summer over already? 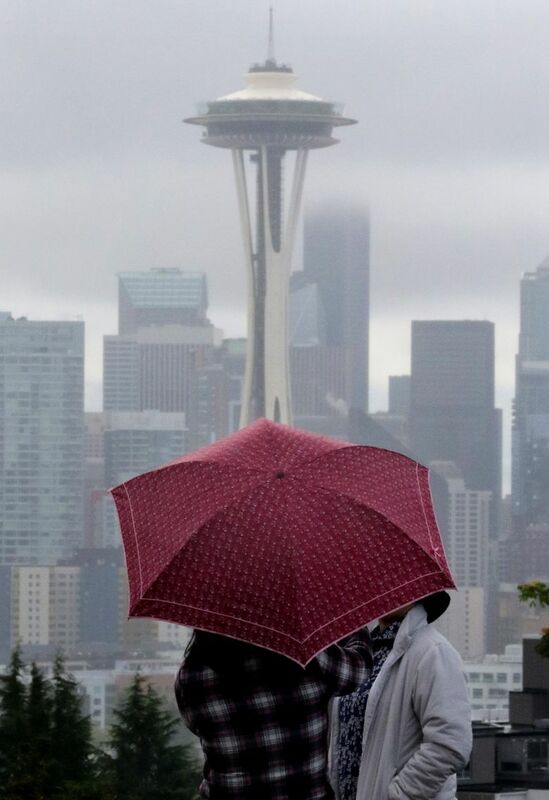 A persistent upper-level trough that’s been bringing bouts of rain, in showers and sprinkles, is expected to linger over Puget Sound through most of the weekend, according to the National Weather Service in Seattle. Meteorologist Kirby Cook says it’s likely to be a wet weekend, especially on Saturday night and Sunday morning when the weather system moves onshore, bringing potentially heavy showers. That doesn’t mean, however, that there aren’t some nice, sunny days ahead of us, said Cook, and they could come as early as next week when the trough is expected to work its way out of the area. Sunday afternoon could bring sun breaks, and Monday and Tuesday are likely to be drier still, Cook said.